DellaPergola, Sergio. Dashefsky, Arnold; Sheskin, Ira, 编. World Jewish Population, 2013 (PDF). Current Jewish Population Reports. Storrs, Connecticut: North American Jewish Data Bank. 2013 . Worldwide Jewry numbers 14 million. Ynet. [2013-10-21]. Daniel J. Elazar. How Strong is Orthodox Judaism -- Really? The Demographics of Jewish Religious Identification. Jerusalem Center for Public Affairs. [2013-09-20]. The Global Religious Landscape — Jews. Pew Research Center. 2012-12-18 [2013-10-31]. Sergio DellaPergola. American Jewish Year Book 2013. Berman Jewish DataBank. 2013: 21. ^ Israel's population crosses 8 million mark. Ynetnews. 2013-04-14 [2013-04-14]. ^ 4.00 4.01 4.02 4.03 4.04 4.05 4.06 4.07 4.08 4.09 4.10 4.11 4.12 4.13 4.14 4.15 4.16 DellaPergola, Sergio. Dashefsky, Arnold; Sheskin, Ira, 编. World Jewish Population, 2012 (PDF). Current Jewish Population Reports. Storrs, Connecticut: North American Jewish Data Bank. 2012-11-02 [2013-09-21]. American Jewish Population Estimates: 2012 (PDF). Brandeis University – Steinhardt Social Research Institute: 7. [2013-10-21]. Jewish Population in the United States, by State. JVL. [2013-10-21]. Naomi Zeveloff. U.S. Jewish Population Pegged at 6 Million. Forward. 2012-01-17 [2013-02-05]. A portrait of Jewish Americans Chapter 1: Population Estimates. Pew Research Center. 2013-10-01 [2013-10-07]. Combining 5.3 million adult Jews (the estimated size of the net Jewish population in this survey) with 1.3 million children (in households with a Jewish adult who are being raised Jewish or partly Jewish) yields a total estimate of 6.7 million Jews of all ages in the United States (rounded to the nearest 100,000). DellaPergola, Sergio. Bigger Population Estimate Means Wider Definition of Jewishness. The Jewish Daily Forward. 2013-10-06 [2013-10-07]. ^ DellaPergola, Sergio. World Jewish Population, 2012 (PDF). North American Jewish Data Bank. 2012-11-02 [2013-07-21]. （原始内容 (PDF)存档于2013-04-22）. ^ Hungary. World Jewish Congress. [2014-08-09]. ^ Turkish - Jewish Friendship Over 500 Years. turkishjews.com. [2015-03-12]. ^ 11.0 11.1 'Lost Jews' Of Colombia Say They've Found Their Roots : NPR. npr.org. [2015-03-12]. ^ Wade, Nicholas. Studies Show Jews' Genetic Similarity. New York Times. 2010-06-09. ^ Nebel, Almut; Filon, Dvora; Weiss, Deborah A.; Weale, Michael; Faerman, Marina; Oppenheim, Ariella; Thomas, Mark G. High-resolution Y chromosome haplotypes of Israeli and Palestinian Arabs reveal geographic substructure and substantial overlap with haplotypes of Jews (PDF). Human Genetics. 2000, 107 (6): 630–41. PMID 11153918. doi:10.1007/s004390000426. ^ 14.0 14.1 14.2 14.3 Shen, P; Lavi, T; Kivisild, T; Chou, V; Sengun, D; Gefel, D; Shpirer, I; Woolf, E; Hillel, J. Reconstruction of patrilineages and matrilineages of Samaritans and other Israeli populations from Y-chromosome and mitochondrial DNA sequence variation (PDF). Human Mutation. 2004, 24 (3): 248–60. PMID 15300852. doi:10.1002/humu.20077. ^ 15.0 15.1 Jews Are The Genetic Brothers Of Palestinians, Syrians, And Lebanese. Sciencedaily.com. 2000-05-09 [2013-04-12]. ^ Atzmon, G; Hao, L; Pe'Er, I; Velez, C; Pearlman, A; Palamara, PF; Morrow, B; Friedman, E; Oddoux, C. Abraham's Children in the Genome Era: Major Jewish Diaspora Populations Comprise Distinct Genetic Clusters with Shared Middle Eastern Ancestry. American Journal of Human Genetics. 2010, 86 (6): 850–859. PMC 3032072. PMID 20560205. doi:10.1016/j.ajhg.2010.04.015. ^ Study Finds Close Genetic Connection Between Jews, Kurds. Haaretz.com. ^ 22.0 22.1 22.2 Annual Assessment, Jewish People Policy Planning Institute (Jewish Agency for Israel): 15, 2007, （原始内容 (PDF)存档于2017年11月7日） , based on Annual Assessment 2007 106. American Jewish Committee. 2006. ^ 23.0 23.1 Jewish Population of the United States by State (dateformat:mdy). [2009-08-13]. ^ 24.0 24.1 Pfeffer, Anshel. Jewish Agency: 13.2 million Jews worldwide on eve of Rosh Hashanah, 5768. Haaretz. 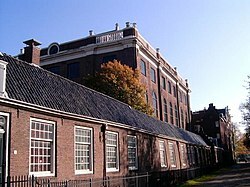 2007-09-12 [2009-01-24]. ^ Grintz, Yehoshua M. Jew. (编) Fred Skolnik. 犹太百科全书 11 2d. Farmington Hills, Mich.: Thomson Gale: 253. 2007. ISBN 0-02-865928-7. ^ Falk, Avner. A Psychoanalytic History of the Jews. Madison, N.J.: Fairleigh Dickinson University Press. 1996: 131. ISBN 0-8386-3660-8. ^ Yiddish. Merriam-Webster's Collegiate Dictionary 11th. Springfield, Mass. : Merriam-Webster: 1453. 2004. ISBN 0-87779-809-5. ^ Israel Archaeology Findings Ideology Politics". ^ Jonathan M Golden,Ancient Canaan and Israel: An Introduction,OUP USA, 2009 pp. 3–4. ^ Judah: Hebrew Tribe, Encyclopædia Britannica；Broshi, Maguen (2001). Bread, Wine, Walls and Scrolls. Bloomsbury Publishing. p. 174. ISBN 1-84127-201-9. ^ Julia Phillips Berger, Sue Parker Gerson (2006). Teaching Jewish History. Behrman House, Inc. p. 41. ISBN 9780867051834. ^ 37.0 37.1 Johnson (1987), p. 82. ^ "BBC Religions/Converting to Judaism: "A person who converts to Judaism becomes a Jew in every sense of the word, and is just as Jewish as someone born into Judaism."". Bbc.co.uk. Retrieved2 October 2013. "Are Converts Treated as Second Class?". InterfaithFamily. "Paul Golin: The Complicated Relationship Between Intermarriage and Jewish Conversion". Huffingtonpost.com. Retrieved 2 October2013. ^ 43.0 43.1 43.2 43.3 Sharot (1997), pp. 29–30. ^ 44.0 44.1 Sharot (1997), pp. 42–43. ^ 45.0 45.1 Sharot (1997), p. 42. ^ Fishman, Sylvia Barack (2000). Jewish Life and American Culture. Albany, N.Y.: State University of New York Press. p. 38.ISBN 0-7914-4546-1. ^ Salo Wittmayer Baron (1937). A Social and Religious History of the Jews, by Salo Wittmayer Baron ... Volume 1 of A Social and Religious History of the Jews. Columbia University Press. p. 132；Jews in the Hellenistic and Roman Cities. Routledge. London and New york. 2002. pp. 90, 94, 104–05. ISBN 9780203446348.Leonard Victor Rutgers (1998). The Hidden Heritage of Diaspora Judaism: Volume 20 of Contributions to biblical exegesis and theology. Peeters Publishers. p. 202. ISBN 9789042906662. of Diaspora Judaism: Volume 20 of Contributions to biblical exegesis and theology. Peeters Publishers. p. 202. ISBN 9789042906662. ^ "What Makes a Jew Jewish?". Chabad.org. Retrieved 2 October 2013. Weiner, Rebecca (2007). "Who is a Jew?". Jewish Virtual Library. Retrieved 6 October 2007.Fowler, Jeaneane D. (1997). World Religions: An Introduction for Students. Sussex Academic Press. p. 7. ISBN 1-898723-48-6. ^ "What is the origin of Matrilineal Descent?". Shamash.org. 4 September 2003. Retrieved 9 January 2009. "What is the source of the law that a child is Jewish only if its mother is Jewish?". Torah.org. Archived from the original on 24 December 2008. Retrieved 9 January 2009. Dosick (2007), pp. 56–57. ^ Shaye J.D. Cohen (1999). The Beginnings of Jewishness. U. California Press. pp. 305–06. ISBN 0-585-24643-2. ^ Johnson (1987), pp. 10–11. ^ Johnson (1987), p. 25. ^ D'Souza, Dinesh. What's So Great about Christianity. Regnery Publishing. 2007: 46. ISBN 1596985178. ^ Sweeney (2003), p. 22. ^ Sweeney (2003), pp. 22–23. ^ Johnson (1987), pp. 69–70. ^ Johnson (1987), p. 78. ^ Goldenberg (2007), p. 121. ^ Goldenberg (2007), p. 124–126. ^ Goldenberg (2007), p. 127–130. ^ Syme, Daniel B. The Jewish Home: A Guide for Jewish Living. New York: URJ Press. 2004: 87. ISBN 0-8074-0851-4. To this day, most Jews will not walk through the arch, and many will spit on it as they pass by. ^ Goldenberg (2007), p. 122. ^ Goldenberg (2007), p. 134–136. ^ Johnson (1987), pp. 95–96. ^ 79.0 79.1 Baron (1952), p. 200. ^ Goldenberg (2007), p. 134. ^ Goldenberg (2007), p. 137. ^ 82.0 82.1 Johnson (1987), p. 112. ^ F.E. Peters, "The Harvest of Hellenism", p. 296. ^ Johnson (1987), pp. 162–165. ^ Goldenberg (2007), pp. 185–186. ^ Johnson (1987), p. 175. ^ Katz, Shmuel, Battleground (1974). ^ Johnson (1987), p. 164. ^ Meyer, Michael A. German-Jewish History in Modern Times. New York: Columbia University Press. 1996: 9. ISBN 0-231-07472-7. ^ Carr (2003), pp. 144–145. ^ Carr (2003), p. 151. ^ Carr (2003), pp. 141-145. ^ Carr (2003), pp. 157–158. ^ Johnson (1987), pp. 215–216. ^ Johnson (1987), pp. 216–217. ^ Malka, Jeff. Sephardim and Their History. [2009-01-19]. ^ 100.0 100.1 Johnson (1987), pp. 207–208. ^ Johnson (1987), pp. 174, 211–213. ^ Ulman, Jane. Timeline: Jewish life in Poland from 1098. The Jewish Journal. 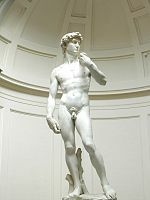 2007-06-07 [2009-01-19]. ^ Johnson (1987), pp. 235, 251. ^ Johnson (1987), pp. 358–359. ^ Granada by Richard Gottheil, Meyer Kayserling, 犹太教百科全书. 1906 ed. ^ The Jews of Morocco. ^ The Jews of Egypt. ^ The Jews of Syria. ^ The Jews of Yemen. ^ The Forgotten Refugees 互联网档案馆的存檔，存档日期2007-09-28. ^ 張綏. 也论“回族的形成”. 寧夏社會科學. 1984年2月 [2014-11-29]. ^ Gartner (2001), pp. 88–89. ^ Dosick (2007), p. 14. ^ Dosick (2007), p. 62. ^ Dosick (2007), pp. 13–14. ^ Dosick (2007), pp. 61–63. ^ Gartner (2001), p. 120. ^ Johnson (1987), p. 321. ^ Johnson (1987), pp. 358–365. ^ Marcus, Joseph. Social and Political History of the Jews in Poland, 1919-1939. Berlin: Walter de Gruyter. 1983: 263. ISBN 90-279-3239-5. ^ Johnson (1987), pp. 374, 402. ^ "An international movement originally for the establishment of a Jewish national or religious community in Palestine and later for the support of modern Israel." ("Zionism," Webster's 11th Collegiate Dictionary). See also "Zionism", Encyclopedia Britannica, which describes it as a "Jewish nationalist movement that has had as its goal the creation and support of a Jewish national state in Palestine, the ancient homeland of the Jews (Hebrew: Eretz Yisra'el,“the Land of Israel”)," and The American Heritage Dictionary of the English Language, Fourth Edition, which defines it as "A Jewish movement that arose in the late 19th century in response to growing anti-Semitism and sought to reestablish a Jewish homeland in Palestine. Modern Zionism is concerned with the support and development of the state of Israel." ^ Ernest Gellner, 1983. Nations and Nationalism (First edition), p 107–108. "Zionism is a modern national liberation movement whose roots go far back to Biblical times." (Rockaway, Robert. Zionism: The National Liberation Movement of The Jewish People 互联网档案馆的存檔，存档日期2007-12-16., 世界锡安主义组织, January 21, 1975, accessed August 17, 2006). "The aim of Zionism was principally the liberation and self-determination of the Jewish people...", Shlomo Avineri. (Zionism as a Movement of National Liberation 互联网档案馆的存檔，存档日期2009-04-26., Hagshama department of the 世界锡安主义组织, December 12, 2003, accessed August 17, 2006). ^ "...from Zion, where King David fashioned the first Jewish nation"（Friedland, Roger and Hecht, Richard To Rule Jerusalem, p. 27). 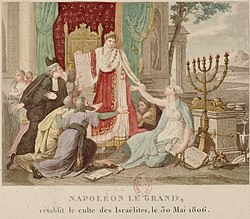 ^ "By the late Second Temple times, when widely held Messianic beliefs were so politically powerful in their implications and repercussions, and when the significance of political authority, territorial sovereignty, and religious belief for the fate of the Jews as a people was so widely and vehemently contested, it seems clear that Jewish nationhood was a social and cultural reality". (Roshwald, Aviel. "Jewish Identity and the Paradox of Nationalism", in Berkowitz, Michael (ed.). Nationalism, Zionism and Ethnic Mobilization of the Jews in 1900 and Beyond, p. 15). "The major response to anti-semitism was the emergence of Zionism under the leadership of 西奥多·赫茨尔in the late nineteenth century." (Matustik, Martin J. and Westphal, Merold. Kierkegaard in Post/Modernity, Indiana University Press, 1995, p. 178). ^ The Jewish Agency for Israel Timeline 互联网档案馆的存檔，存档日期2008-12-03. ^ 144.0 144.1 Lador-Lederer, Joseph. "World War II: Jews as Prisoners of War", Israel Yearbook on Human Rights, vol.10, Faculty of Law, Tel Aviv University, Tel Aviv, 1980, pp. 70–89, p. 75, footnote 15. 互联网档案馆的存檔，存档日期2010-08-25. 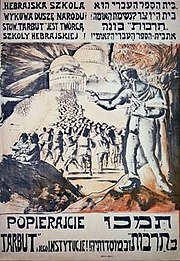 ^ Wiener Library: Jewish Brigade. [2009-09-01]. ^ Part 3: Partition, War and Independence. The Mideast: A Century of Conflict. National Public Radio. 2002-10-02 [2007-07-13]. ^ Bermani, Daphna. Sephardi Jewry at odds over reparations from Arab world. 2003-11-14. （原始内容存档于2007-11-23）. ^ Telahoun, Tesfu. Israel at 60. Capital Ethiopia. 2008-03-11 [2008-07-03]. （原始内容存档于2008-10-03）. ^ Israel. The World Factbook. Central Intelligence Agency. 2007-06-19 [2007-07-20]. ^ The Electoral System in Israel. The Knesset. [2007-08-08]. ^ Country's Report Israel. Freedom House. ^ Population, by Religion and Population Group. Israel Central Bureau of Statistics. 2006 [2007-08-07]. （原始内容存档于2007-09-30）. ^ Dekmejian 1975，第247页. "And most [Oriental-Sephardic Jews] came... because of Arab persecution resulting from the very attempt to establish a Jewish state in Palestine." ^ airlifted tens of thousands of Ethiopian Jews (dateformat:mdy). [2005-07-07]. ^ 159.0 159.1 Dosick (2007), p. 340. 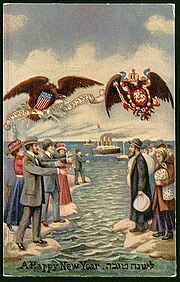 ^ Gurock, Jeffrey S. East European Jews in America, 1880-1920: Immigration and Adaptation. New York: Routledge. 1998: 54. ISBN 0-415-91924-X. ^ Waxman, Chaim I. Annual Assessment 2007. Jewish People Policy Planning Institute (Jewish Agency for Israel): 40–42. 2007 [2008-07-03]. （原始内容 (PDF)存档于2017年11月7日）. ^ The Ingathering of the Exiles. Israel Ministry of Foreign Affairs. ^ 166.0 166.1 Johnson (1987), p. 171. ^ Edinger, Bernard. Chinese Jews: Reverence for Ancestors. Hadassah Magazine. Hadassah. December 2005 [2009-01-09]. （原始内容存档于2009-01-23）. ^ NJPS: Intermarriage: Defining and Calculating Intermarriage (dateformat:mdy). [2005-07-07]. ^ Cohen, Erik H. Les Juifs de France: La Lente Progression des Mariages Mixtes (dateformat:mdy). [2009-03-25] （法语）. ^ World Jewish Congress Online (dateformat:mdy). [2005-07-07]. 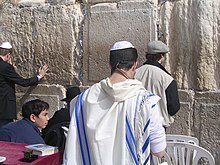 ^ The Virtual Jewish History Tour - Mexico (dateformat:mdy). [2005-07-07]. ^ Waxman, Chaim I. Annual Assessment 2007. Jewish People Policy Planning Institute (Jewish Agency for Israel): 61. 2007 [2008-07-03]. （原始内容 (PDF)存档于2017年11月7日）. ^ Johnson (1987), pp. 226–229. ^ Johnson (1987), pp. 259–260. ^ Johnson (1987), pp. 213, 229–231. ^ Study: 20 Percent of Spanish, Portuguese Have Jewish Ancestry 页面存档备份，存于互联网档案馆. FoxNews.com. December 8, 2008. ^ Johnson (1987), p. 10；Hirsch, Emil G.; Seligsohn, Max; Bacher, Wilhelm (1901–1906). "NIMROD". In Singer, Isidore; et al. Jewish Encyclopedia. New York: Funk & Wagnalls Company. ^ Daniel L. Smith-Christopher,The Religion of the Landless: The Social Context of the Babylonian Exile , Wipf and Stock Publishers, 2015 pp. 30ff；Johnson (1987), p. 147. ^ Johnson (1987), p. 163. Johnson (1987), p. 177. Johnson (1987), p. 231. Johnson (1987), p. 460. ^ Gartner (2001), p. 431. ^ Gartner (2001), pp. 400–401. ^ Danzger (2003), pp. 495–496. ^ 206.0 206.1 206.2 Hammer, Mf; Redd, Aj; Wood, Et; Bonner, Mr; Jarjanazi, H; Karafet, T; Santachiara-Benerecetti, S; Oppenheim, A; Jobling, Ma; Jenkins, T; Ostrer, H; Bonne-Tamir, B. Jewish and Middle Eastern non-Jewish populations share a common pool of Y-chromosome biallelic haplotypes. (Free full text). Proceedings of the National Academy of Sciences of the United States of America. Jun 2000, 97 (12): 6769–74. ISSN 0027-8424. PMC 18733. PMID 10801975. doi:10.1073/pnas.100115997. ^ 207.0 207.1 Y Chromosome Bears Witness to Story of the Jewish Diaspora. New York Times. 2000-05-09. ^ Diana Muir Appelbaum and Paul S. Appelbaum. Genetics and the Jewish identity. The Jerusalem Post. 2008-02-11. ^ 209.0 209.1 209.2 209.3 Skorecki, K; Selig, S; Blazer, S; Bradman, R; Bradman, N; Waburton, Pj; Ismajlowicz, M; Hammer, Mf. Y chromosomes of Jewish priests.. Nature. Jan 1997, 385 (6611): 32. ISSN 0028-0836. PMID 8985243. doi:10.1038/385032a0. ^ 210.0 210.1 210.2 Priestly Gene Shared By Widely Dispersed Jews. American Society for Technion, Israel Institute of Technology. 1998-07-14. ^ Nebel, A; Filon, D; Brinkmann, B; Majumder, Pp; Faerman, M; Oppenheim, A. The Y chromosome pool of Jews as part of the genetic landscape of the Middle East.. American journal of human genetics. Nov 2001, 69 (5): 1095–112. ISSN 0002-9297. PMC 1274378. PMID 11573163. doi:10.1086/324070. ^ Nebel, Almut. High-resolution Y chromosome haplotypes of Israeli and Palestinian Arabs reveal geographic substructure and substantial overlap with haplotypes of Jews. Human Genetics. 2000, 107: 630. doi:10.1007/s004390000426. ^ Jewish and Middle Eastern non-Jewish populations share a common pool of Y-chromosome biallelic haplotypes. Proceedings of the National Academy of Sciences of the United States of America. June 2000, 97 (12): 6769–6774. Bibcode:2000PNAS...97.6769H. doi:10.1073/pnas.100115997. PMC 18733. PMID 10801975. Nebel Almut; Filon Dvora; Brinkmann Bernd; Majumder Partha P.; Faerman Marina; Oppenheim Ariella. The Y Chromosome Pool of Jews as Part of the Genetic Landscape of the Middle East. The American Journal of Human Genetics. 2001, 69 (5): 1095–112. doi:10.1086/324070. PMC 1274378. PMID 11573163. Molecular Photofitting: Predicting Ancestry and Phenotype Using DNA by Tony Nick Frudakis P:383  Behar DM, Metspalu E, Kivisild T; 等. MacAulay, Vincent, 编. Counting the Founders: The Matrilineal Genetic Ancestry of the Jewish Diaspora. PLoS ONE. 2008, 3 (4): e2062. Bibcode:2008PLoSO...3.2062B. doi:10.1371/journal.pone.0002062. PMC 2323359. Lewontin, Richard. Is There a Jewish Gene?. New York Review of Books. 6 December 2012. Atzmon, G; Hao, L; Pe'Er, I; Velez, C; Pearlman, A; Palamara, PF; Morrow, B; Friedman, E; Oddoux, C. Abraham's children in the genome era: Major Jewish diaspora populations comprise distinct genetic clusters with shared Middle Eastern Ancestry. American Journal of Human Genetics. 2010, 86 (6): 850–9. doi:10.1016/j.ajhg.2010.04.015. PMC 3032072. PMID 20560205. Feder, Jeanette; Ovadia, Ofer; Glaser, Benjamin; Mishmar, Dan. Ashkenazi Jewish mtDNA haplogroup distribution varies among distinct subpopulations: Lessons of population substructure in a closed group. European Journal of Human Genetics. 2007, 15 (4): 498–500. doi:10.1038/sj.ejhg.5201764. PMID 17245410. Ostrer, H; Skorecki, K. The population genetics of the Jewish people. Human Genetics. 2013, 132 (2): 119–27. doi:10.1007/s00439-012-1235-6. PMC 3543766. PMID 23052947. ^ Jews Are a 'Race,' Genes Reveal –. Forward.com. [12 April 2013]. Genetics & the Jews (it's still complicated) : Gene Expression. Blogs.discovermagazine.com. 10 June 2010 [12 April 2013]. doi:10.1038/nature09103. Begley, Sharon. Genetic study offers clues to history of North Africa's Jews | Reuters. In.reuters.com. [12 April 2013]. ^ Patai, Raphael. The Jewish Mind. Detroit: Wayne State University Press. 1996: 7 . ISBN 0-8143-2651-X. ^ Johnson, Lonnie R. Central Europe: Enemies, Neighbors, Friends. Oxford: Oxford University Press. 1996: 145. ISBN 0-19-510071-9. ^ Fishman, Sylvia Barack. Jewish Life and American Culture. Albany, N.Y.: State University of New York Press. 2000: 38. ISBN 0-7914-4546-1. ^ Kimmerling, Baruch. The Israeli State and Society: Boundaries and Frontiers. Albany, N.Y.: State University of New York Press. 1996: 169. ISBN 0-88706-849-9. ^ 肖宪. 谜一般的犹太人. 北京: 中国工人出版社. 2007: 147. ISBN 978-7-5008-3758-9. 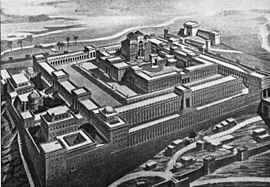 ^ 223.0 223.1 Grintz, Jehoshua M. "Hebrew as the Spoken and Written Language in the Last Days of the Second Temple." Journal of Biblical Literature. March, 1960. ^ Language and Literature. Embassy of Israel. [2009-01-10]. ^ Parfitt, T. V. "The Use of Hebrew in Palestine 1800–1822." Journal of Semitic Studies , 1972. ^ 227.0 227.1 Jewish Languages. Beth Hatefutsoth, The Nahum Goldmann Museum of the Jewish Diaspora. [2008-07-03]. （原始内容存档于2008-07-25）. ^ Nava Nevo (2001). International Handbook of Jewish Education. Springer. p. 428. ISBN 9789400703544. In contrast to other peoples who are masters of their national languages, Hebrew is not the 'common possession' of all Jewish people, and it mainly—if not exclusively—lives and breathes in Israel.... Although there are oases of Hebrew in certain schools, it has not become the Jewish lingua franca and English is rapidly taking its place as the Jewish people's language of communication. Even Hebrew-speaking Israeli representatives tend to use English in their public appearances at international Jewish conventions. Chaya Herman (2006). Prophets and Profits: Managerialism and the Restructuring of Jewish Schools in South Africa. HSRC Press. p. 121. ISBN 9780796921147. It is English rather than Hebrew that emerged as the lingua franca of the Jews towards the late 20th century.... This phenomenon occurred despite efforts to make Hebrew a language of communication, and despite the fact that the teaching of Hebrew was considered the raison d'être of the Jewish day schools and the 'nerve center' of Jewish learning. Elana Shohamy (2010). Negotiating Language Policy in Schools: Educators as Policymakers. Routledge. p. 185. ISBN 9781135146214. This priority given to English is related to the special relationship between Israel and the United States, and the current status of English as a lingua franca for Jews worldwide. Elan Ezrachi (2012). Dynamic Belonging: Contemporary Jewish Collective Identities. Bergahn Books. p. 214. ISBN 9780857452580. As Stephen P. Cohen observes: 'English is the language of Jewish universal discourse.' "Jewish Languages – How Do We Talk To Each Other?". Jewish Agency. Archived from the original on 7 March 2014. Retrieved 5 April 2014. Only a minority of the Jewish people today can actually speak Hebrew. In order for a Jew from one country to talk to another who speaks a different language, it is more common to use English than Hebrew. ^ Beth Hatefutsoth. Archived from the originalon 26 March 2009. Retrieved 2 April 2012. ^ "Quebec Sephardim Make Breakthroughs – Forward.com". forward.com. Retrieved 12 March 2015. "Quebec, Canada | Jewish Virtual Library". jewishvirtuallibrary.org. Retrieved 12 March 2015. Edna Aizenberg (2012). Contemporary Sephardic Identity in the Americas: An Interdisciplinary Approach. p. xxii. ISBN 9780815651659. Gerald Tulchinsky (2008). Canada's Jews: A People's Journey. pp. 447–49. ISBN 9780802093868. ^ Jessica Piombo (3 August 2009). Institutions, Ethnicity, and Political Mobilization in South Africa. Palgrave Macmillan. p. 51. ISBN 9780230623828. Andrew Noble Koss (dissertation) (2010). "World War I and the Remaking of Jewish Vilna, 1914–1918". Stanford University: 30–31. Paul Wexler (2006). "Chapter 38: Evaluating Soviet Yiddish Language Policy Between 1917–1950". Jewish and Non-Jewish Creators of "Jewish Languages". Otto Harrassowitz Verlag. p. 780. ISBN 9783447054041. ^ Bukharan Jews | Jewish Virtual Library". jewishvirtuallibrary.org. Retrieved 12 March 2015. ^ Anna Verschik (25 May 2007). "Jewish Russian". 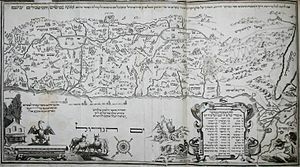 Jewish Languages Research Website. Ehrlich, Mark Avrum (2009). Encyclopedia of the Jewish Diaspora: Origins, Experiences, and Culture, Volume 1. p. 1007. ISBN 9781851098736. Subtelny, O. (2009). Ukraine: A History, 4th Edition. University of Toronto Press, Scholarly Publishing Division. ISBN 978-1-4426-9728-7. Retrieved 12 March 2015. Congress, E.P. ; Gonzalez, M.J. (2005). Multicultural Perspectives in Working with Families. Springer Publishing Company. ISBN 978-0-8261-3146-1. Retrieved 12 March 2015. Anshel Pfeffer (14 March 2014). "The Jews who said 'no' to Putin". Haaretz. Archived from the original on 26 March 2014. "Bukharan Jews | Jewish Virtual Library". jewishvirtuallibrary.org. Retrieved 12 March 2015. Moshe Ma'oz (2011). Muslim Attitudes towards Jews and Israel. pp. 135, 160. ISBN 9781845195274. Yaakov Kleiman (2004). DNA & Tradition: The Genetic Link to the Ancient Hebrews. Devora Publishing. p. 72. ISBN 9781930143890. The community is divided between 'native' Georgian Jews and Russian-speaking Ashkenazim who began migrating there at the beginning of the 19th century, and especially during World War II. Joshua A. Fishman (1985). Readings in the Sociology of Jewish Languages. pp. 165, 169–74. ISBN 9004072373. Jews in Tadzhikistan have adopted Tadzhik as their first language. The number of Yiddish-speaking Ashkenazic Jews in that region is comparatively low (cf. 2,905 in 1979). 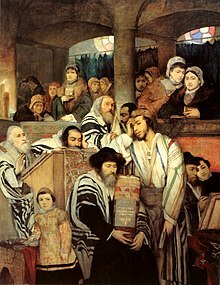 Both Ashkenazic and Oriental Jews have assimilated to Russian, the number of Jews speaking Russian as their first language amounting to a total of 6,564. It is reasonable to assume that the percentage of assimilated Ashkenazim is much higher than the portion of Oriental Jews. Harald Haarmann (1986). Language in Ethnicity: A View of Basic Ecological Relations. Walter de Gruyter. pp. 70–73, 79–82. ISBN 9783110862805. ^ Moshe Ma'oz (2011). Muslim Attitudes towards Jews and Israel. pp. 135, 160. ISBN 9781845195274.Gafaiti, Hafid (1 July 2009). Transnational Spaces and Identities in the Francophone World. p. 234. ISBN 0803224656. Gottreich, Emily Benichou; Schroeter, Daniel J (1 July 2011). Jewish Culture and Society in North Africa. pp. 258, 270. ISBN 0253001463. "Tunisia". jdc.org. Retrieved 12 March 2015. ^ Schwartz, Richard H. Judaism and Global Survival. New York: Lantern Books. 2001: 153. ISBN 1-930051-87-5. Salo Wittmayer Baron (1952). A Social and Religious History of the Jews, Volume II, Ancient Times, Part II. Philadelphia: Jewish Publication Society of America. Carr, David R. Judaism in Christendom. (编) Neusner, Jacob; Avery-Peck, Alan J. The Blackwell Companion to Judaism. Malden, Mass. : Blackwell Publishing. 2003 . ISBN 1-57718-058-5. Cowling, Geoffrey. Introduction to World Religions. Singapore: First Fortress Press. 2005. ISBN 0-8006-3714-3. Danzger, M. Herbert. The "Return" to Traditional Judaism at the End of the Twentieth Century: Cross-Cultural Comparisons. (编) Neusner, Jacob; Avery-Peck, Alan J. The Blackwell Companion to Judaism. Malden, Mass. : Blackwell Publishing. 2003 . ISBN 1-57718-058-5. Dekmejian, R. Hrair. Patterns of Political Leadership: Egypt, Israel, Lebanon. State University of New York Press. 1975. ISBN 087395291X. de Lange, Nicholas. An Introduction to Judaism. Cambridge: Cambridge University Press. 2002 . ISBN 0-521-46073-5. Dosick, Wayne. Living Judaism. New York: HarperCollins. 2007. ISBN 0-06-062179-6. Elazar, Daniel J. Judaism as a Theopolitical Phenomenon. (编) Neusner, Jacob; Avery-Peck, Alan J. The Blackwell Companion to Judaism. Malden, Mass. : Blackwell Publishing. 2003 . ISBN 1-57718-058-5. Feldman, Louis H. Judaism and Hellenism Reconsidered. Leiden, The Netherlands: Brill. 2006. ISBN 90-04-14906-6. Gartner, Lloyd P. History of the Jews in Modern Times. Oxford: Oxford University Press. 2001. ISBN 0-19-289259-2. Goldenberg, Robert. The Origins of Judaism: From Canaan to the Rise of Islam. Cambridge: Cambridge University Press. 2007. ISBN 0-521-84453-3. Goldstein, Joseph. Jewish History in Modern Times. Sussex Academic Press. 1995. ISBN 1898723060. Johnson, Paul. A History of the Jews. New York: HarperCollins. 1987. ISBN 0-06-091533-1. Kaplan, Dana Evan. Reform Judaism. (编) Neusner, Jacob; Avery-Peck, Alan J. The Blackwell Companion to Judaism. Malden, Mass. : Blackwell Publishing. 2003 . ISBN 1-57718-058-5. Katz, Shmuel. Battleground: Fact and Fantasy in Palestine. Taylor Productions. 1974. ISBN 0-929093-13-5. Littman, David. Jews Under Muslim Rule: The Case Of Persia. The Wiener Library Bulletin. 1979, XXXII (New series 49/50). Neusner, Jacob. Studying Classical Judaism: A Primer. Westminster John Knox Press. 1991. ISBN 0664251366. Leon Poliakov (1974). The History of Anti-semitism. New York: The Vanguard Press. Sharot, Stephen. 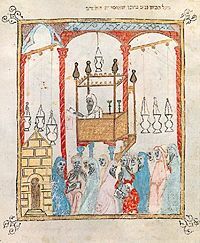 Religious Syncretism and Religious Distinctiveness: A Comparative Analysis of Pre-Modern Jewish Communities. (编) Endelman, Todd M. Comparing Jewish Societies. Ann Arbor, Mich.: University of Michigan Press. 1997. ISBN 0-472-06592-0. Sweeney, Marvin A. The Religious World of Ancient Israel to 586 BCE. (编) Neusner, Jacob; Avery-Peck, Alan J. The Blackwell Companion to Judaism. Malden, Mass. : Blackwell Publishing. 2003 . ISBN 1-57718-058-5.